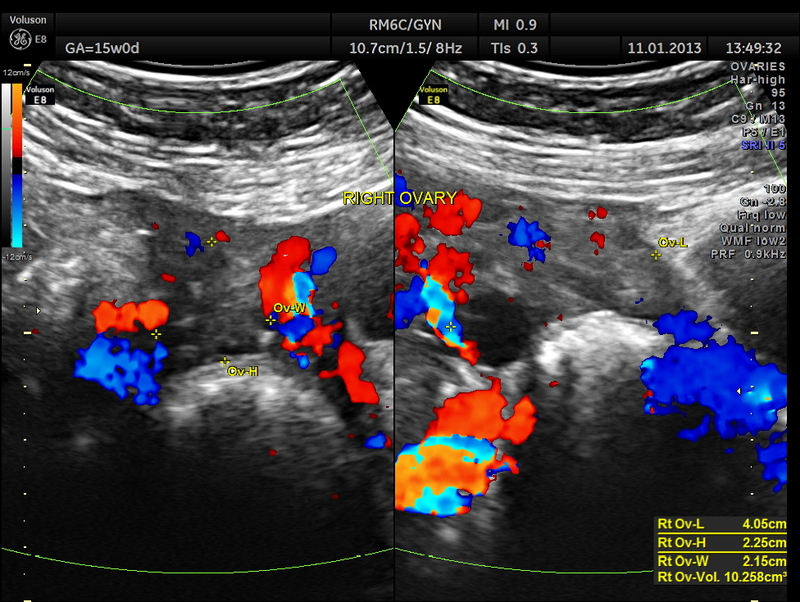 This was a 28 year old lady , primi gravida , who presented with acute lower abdominal pain . Her gestational age was around 15 to 16 weeks. 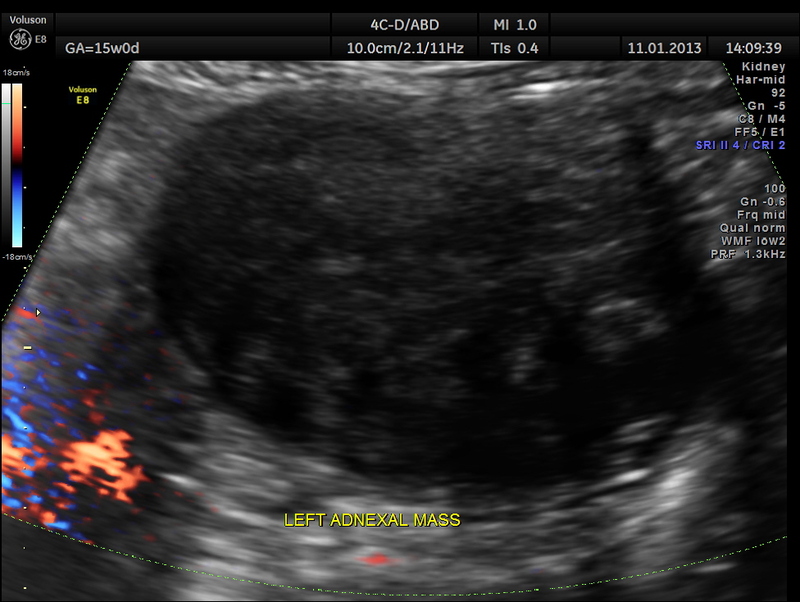 Left adnexal solid mass was seen. 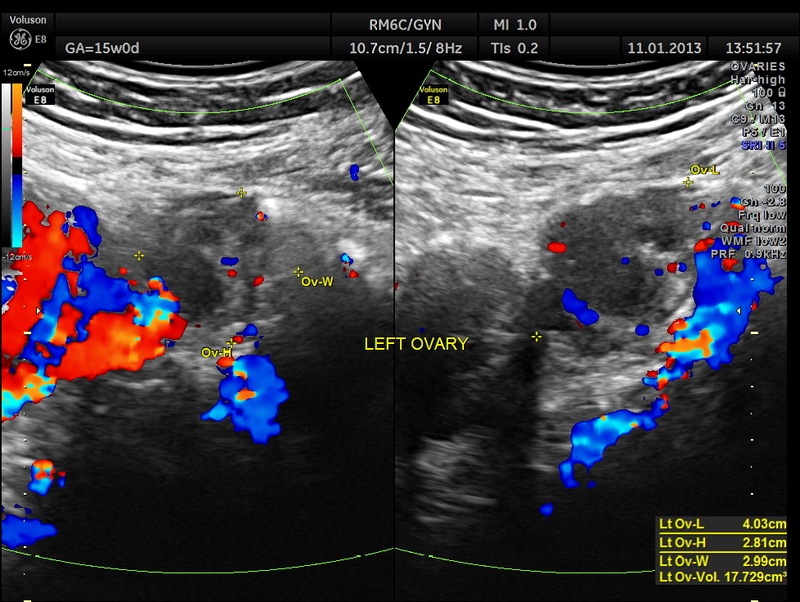 Right ovary was seen to be normal. 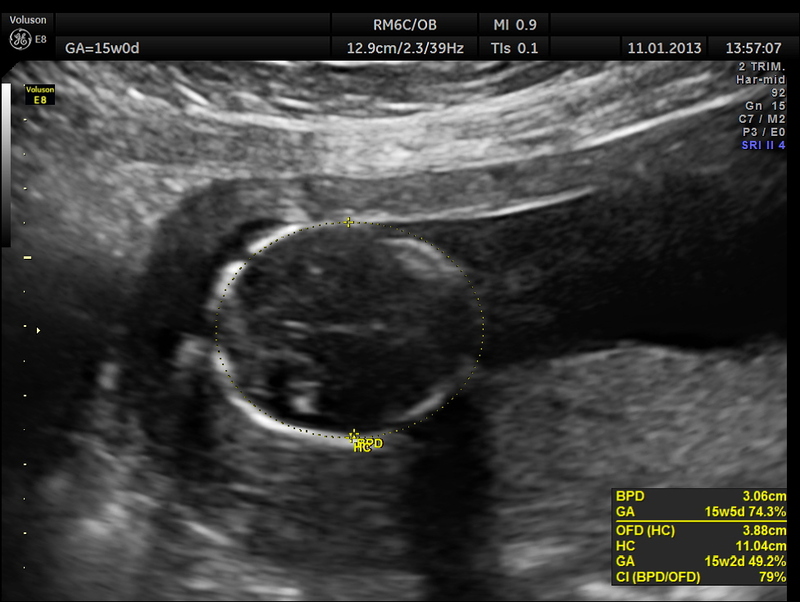 Left ovary was also seen to be normal. 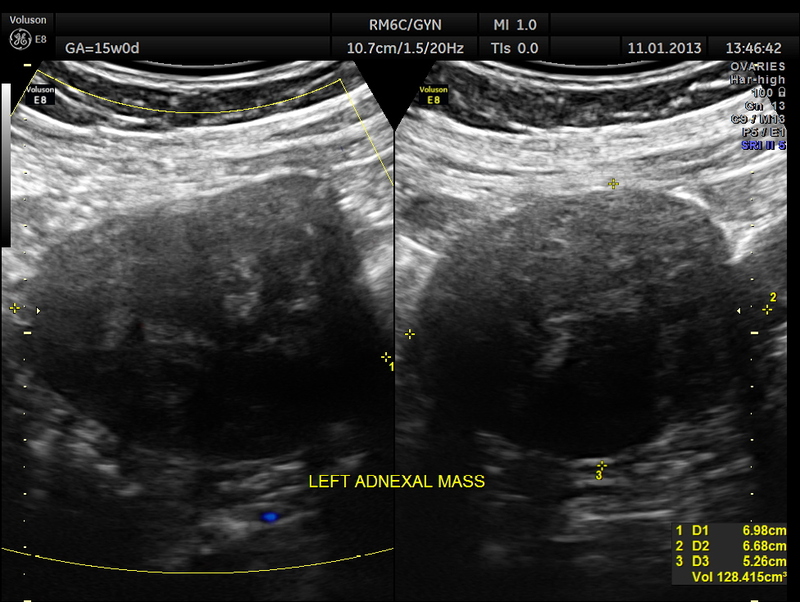 3 D reconstructed image of the left adnexal mass. The pregnancy scan was otherwise normal. 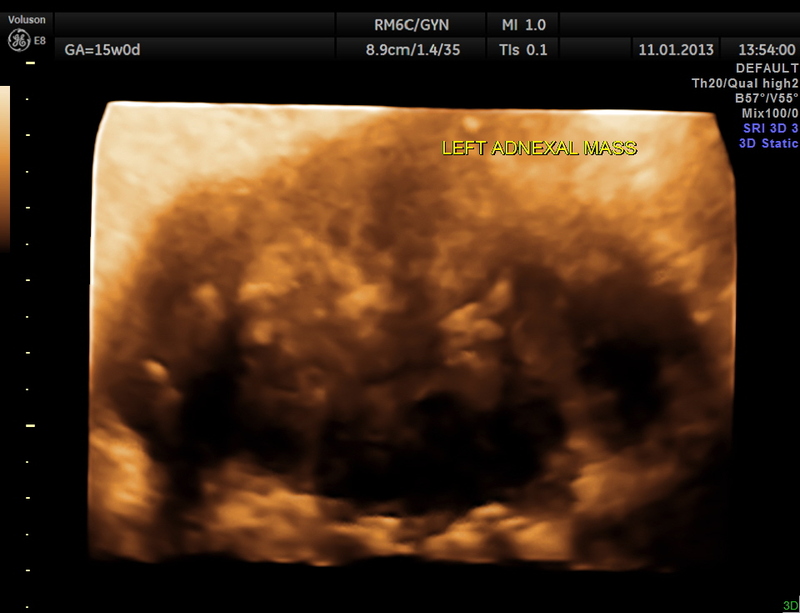 The catch for the obstetrician was that she had scanned her 2 weeks ago and found nothing abnormal. On second thoughts she was not sure whether she had scanned the adnexae after visualising the ovaries . This could be a pit fall for all of us . When we are in a hurry and when we have seen the regulation stuff organs , we might skip the in between zones . For instance while doing a whole abdominal scan , one has the chance to leave off the central zone and still give a report , where nothing was missed. But this could be a trap occasionally. So this patient was taken up for surgery because of the clinical presentation of acute pain , probably torsion. The mass lesion was removed and the pathologist reported it as PARA OVARIAN FIBROMA . The pregnancy was continued normally and was uneventful . 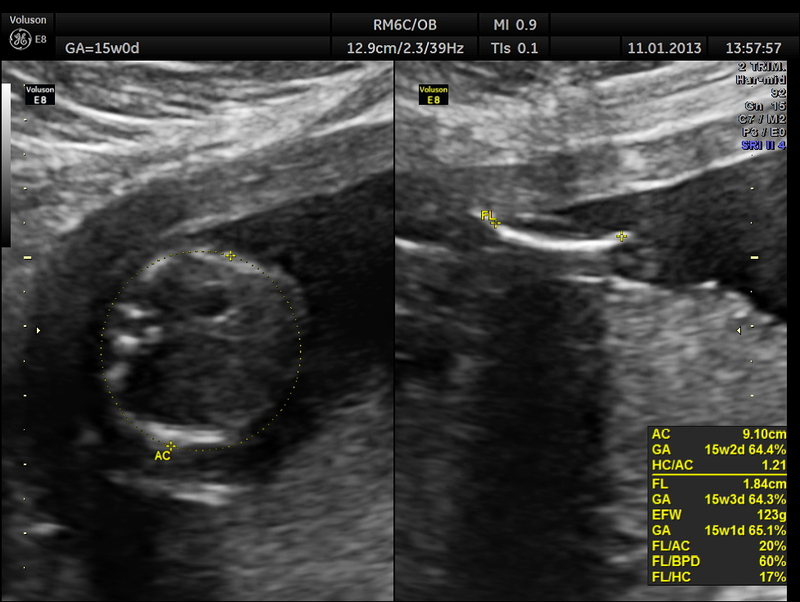 The fetus showed mild bilateral pelvi ectasis persistently from 28 weeks onwards till delivery. Scan done 1 month after delivery showed normal kidneys in the child. wonderful imaging and interpretation … thank you, again!